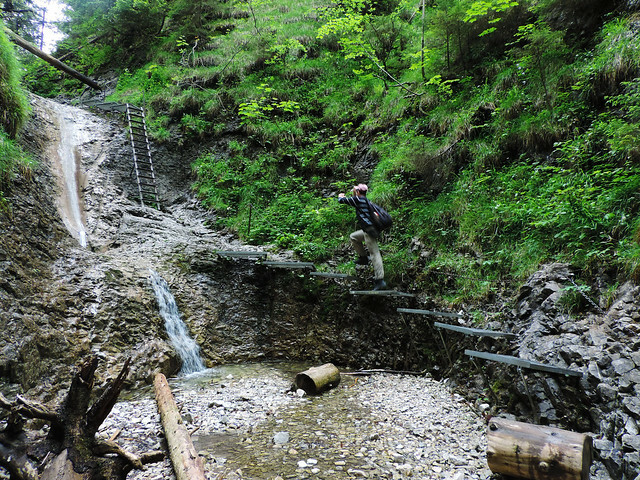 Dry White Gorge (roklina Suchá Belá in Slovak) is one of the most popular ravines in the Slovak Paradise and probably the best trail to start your explorations in the park. 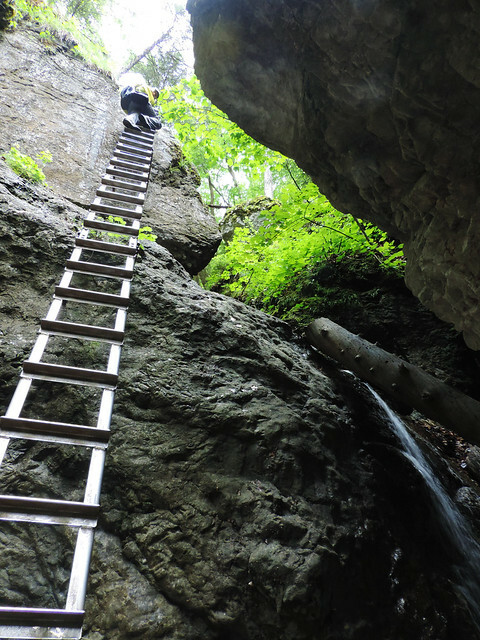 While Hornád River Canyon is wonderful and it gives access to several other, more remote canyons, Dry White Gorge is just as amazing and it’s also very easily accessible. How to conquer Dry White Gorge? The entrance of this glen is just a short walk from the parking in Podlesok. 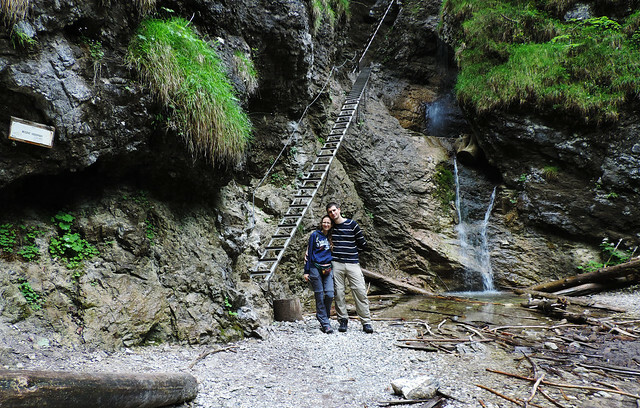 A charming little creek runs in the glen and we passed 4 waterfalls on our way through the gorge. 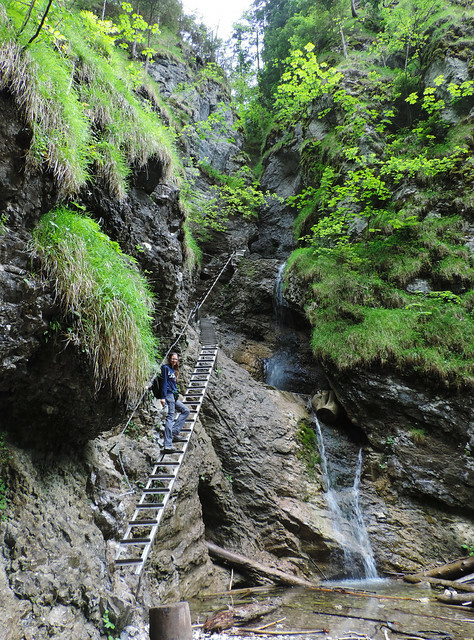 The highest waterfall is 29.5 meters, the smallest is 8 meters tall and there are iron ladders and built-in footsteps and chains to help us conquer this picturesque gorge safely. 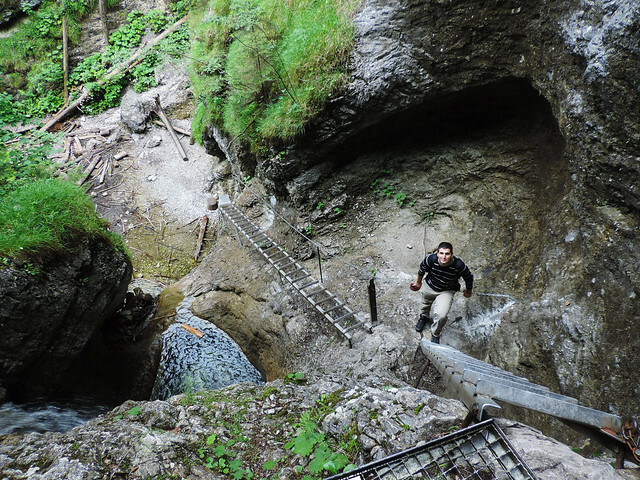 No special climbing equipment is needed, just your sense of adventure and a bit of caution. 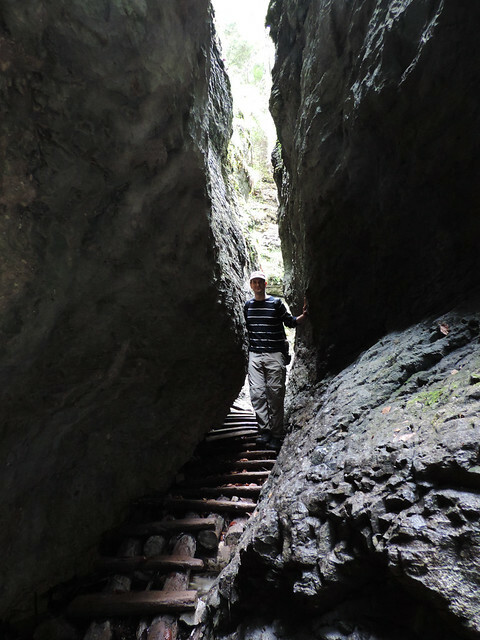 The trail – like most of the glen hikes in this park – is one-way: only up. There’s an easy trail from the top that leads back to Podlesok through the forest outside of the glen. Since Dry White Gorge is easily accessible, relatively short and very pretty, you bet it’s a busy one. Especially in the summer. But it takes only about 4 hours to do the full loop so we started around 3 pm on a long summer day and we haven’t met anyone on the way. What to do in the morning then? You can visit Dobšinská Ice Cave or chill out at Dedinky where you can rent a boat or have a swim in the largest lake of the Slovak Paradise. Okay, it’s a water reservoir but that doesn’t make it less pretty.